We supply and manufacture roller shutter doors, fire shutters, roller grills, bar grills & more. A&A Garage Doors install industrial shutters in Honiton and surrounding areas. 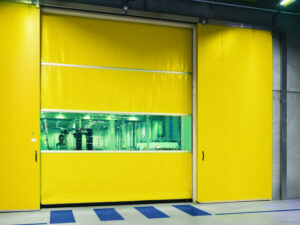 Industrial shutters are an integral component in the provision of security, and our industrial shutters are strong. 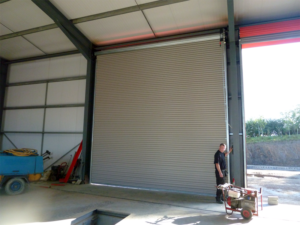 We supply and install all types of roller shutters in Honiton, from commercial window and entrance shutters to the largest industrial roller shutter designed for high usage. Curtains can be perforated, punched or solid and have windowed areas for visual purposes. Fire Rated Shutters are an increasingly popular option in Honiton and offer fire protection at up to four hours greater than would be the case for a standard non-fire rated door or shutter. Fire Shutters help many businesses to ensure that they protect their goods, buildings and employees from the threat of fire by offering potentially significant delays to the spread of fire. We are Sectional overhead door providers in Honiton. Section Overhead doors are an effective environmental barrier helping to reduce energy loss whilst providing excellent traffic throughput and access. Designed to offer safe, reliable and functional access, sectional overhead doors are also excellent for optimising space. 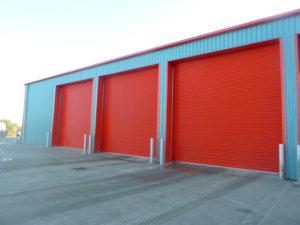 Ideal for loading bays, industrial units, storage buildings, fire and ambulance stations; sectional overhead doors are also available with insulated panels, a variety of track arrangements and automation.